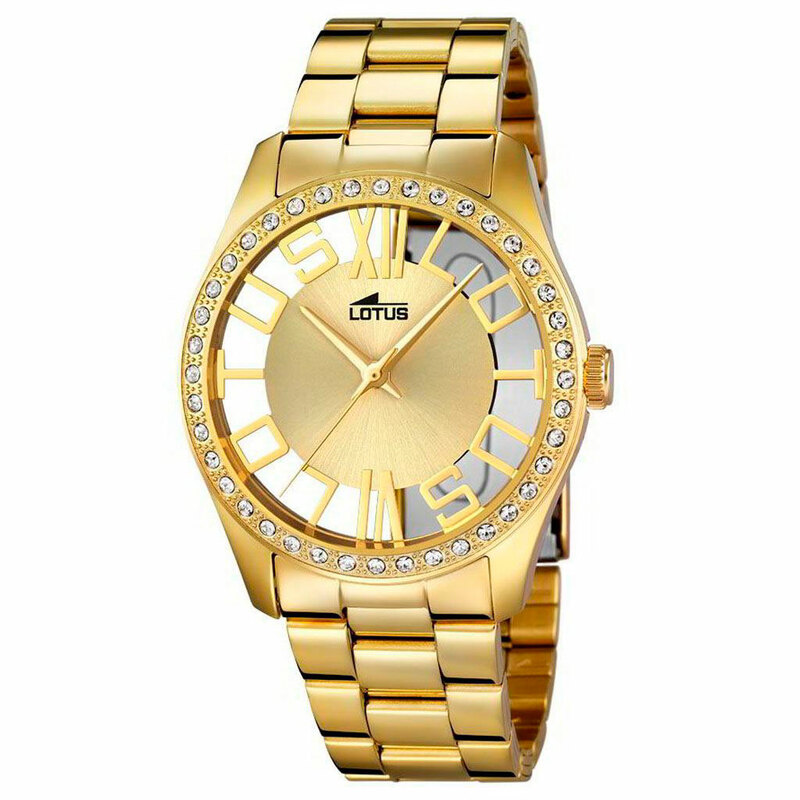 Steel case 39 mm wide gold plated. Bezel with stones belt steel plated gold with safety clasp. Hermetism 5 ATM (50M).